Youth do laps during swim lessons at West Enfield pool. The City of Austin’s Parks and Recreation Department will present the latest version of its Aquatics Master Plan to the public in two meetings this week. The city boasts 51 public pool facilities, including everything from splash pads to Barton Springs pool. The majority of these facilities are neighborhood pools, which offer free admission and swim lessons during summer months. Elisa Dennis brings her daughter Nora to West Enfield pool for swim lessons a couple of times a week. West Enfield is one of the nicer neighborhood pools in Austin. It has swooping shade screens and a kiddie pool for toddlers to wade in while their older siblings learn to frog kick. It was built in the 1930s and was forced to close in 2013 due to leaks. It was then reconstructed with money from a 2012 bond package and reopened in 2014. 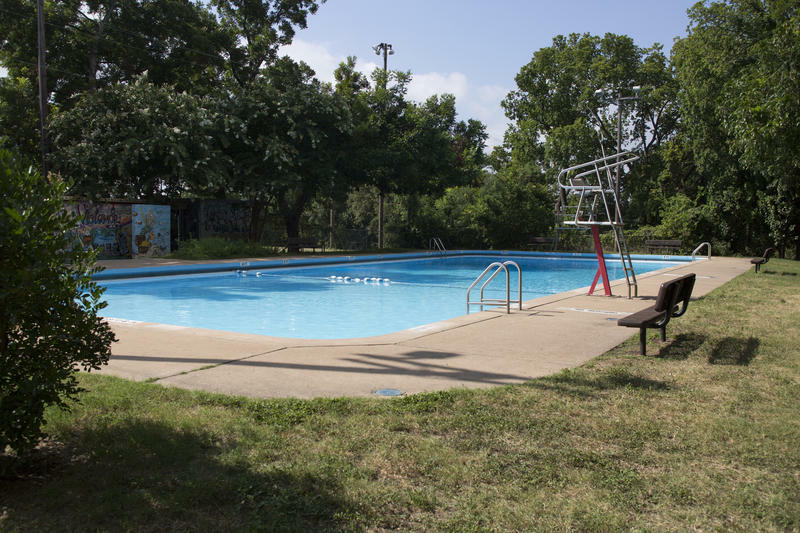 Unfortunately, many other neighborhood pools in Austin are now falling into disrepair. “It is varied, but there are a lot of them that were built in the '30s and '40s," said Cara Welch, public information specialist for the City of Austin Parks and Recreation Department. "So we’re dealing with really old infrastructure." The department's Aquatics Master Plan is meant to help the city decide where to focus its resources. The plan began with a comprehensive assessment of the city’s existing pools in 2013. 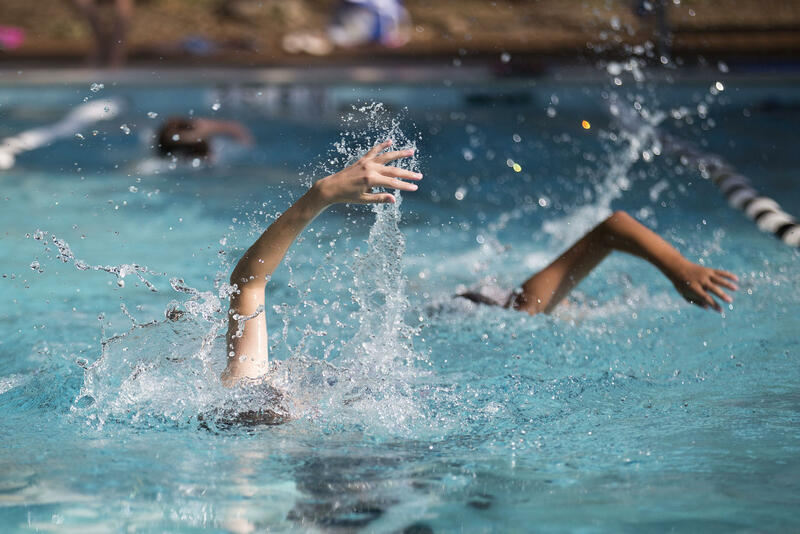 The report found issues with many neighborhood pools, including those due to aging (like pool leakage and deteriorating plumbing fixtures in bathrooms), as well as tripping hazards on pool decks and inadequate accessibility for people with disabilities. “What the department is currently doing is no longer sustainable. So we’re looking at specific sites,” Welch said. 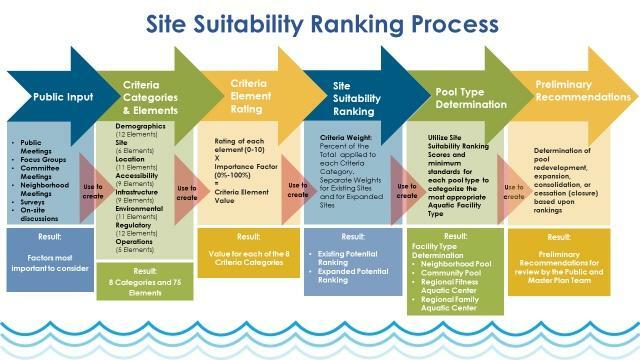 The Department of Parks and Recreation used the report to rank which pools to restore and update. “Things like demographics of the area, potential population growth, how many people are we actually serving, what are the opportunities for programming. Those are some of the more weighted criteria,” she said. Welch said the Aquatics Master Plan will also set standards for each type of pool facility. Neighborhood pools, for example, will all be updated to include lap lanes long enough to host swim meets. The plan was supposed to be completed by the end of 2016, but was pushed back to ensure the department had time to integrate public feedback, Welch said. Now that the plan is in its final stage, it will be presented to the public for approval in two upcoming meetings. Public meetings will be held at 10 a.m. Saturday at the A.B. Cantu Pan American Recreation Center and at the Spicewood Springs Library at 6:30 p.m. on Tuesday. Austin Parks And Rec Dept. As the temperature in Austin climbs, kids and adults flock to the city’s several dozen pools. But while the industry puts a pool’s lifespan at 30 years, many of Austin’s are 50 years or older. So in 2012, the city decided it would create an Aquatic Master Plan, a document that would imagine the future of Austin’s pools. That process is now in its third and final phase of completion.